Hello, again!! Suz here! So far these are the AIM's who are currently residing in Sim City and the Lucky Ladies who OIC them!! Talk to them and see how happy they are with their gorgeous Charges! Adopt today!! 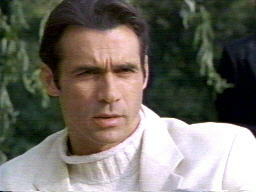 The Chivalry Duncan MacLeod From The HL Ep "Chivalry": OIC'd By Cleopatra! Duncan MacLeod From HL: TS: OIC'd By tilla! Baby Duncan MacLeod From A *Real* Flashback: OIC'd By Pookkah! Shooter From "Dead Men Can't Dance": OIC'd By Amrantha! His Unholiness Evil Duncan MacLeod From The HL Ep "Something Wicked": Co-OIC'd By Pookkah And Amrantha! Alex Hiliboux From "The Owl": OIC'd By Pookkah! Nicolai (Kolya) Rostov From "Dynasty 2: The Colbys": OIC'd By Me - Suz!! Billy James From "Dance To Win": OIC'd By Reggie! Prince Prospero From "Masque Of The Red Death": OIC'd By Dio! John kincaid From "War Of The Worlds": OIC'd By Pookah! Season Sux Duncan: OIC'd By Aimee!